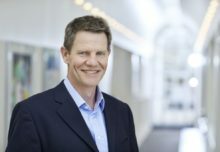 Valco Melton expects 2016 to be the company’s most successful drupa show to date. 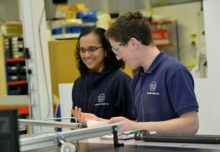 Since 2012, the adhesive dispensing technology and quality assurance systems specialist has experienced record growth with the expansion of its camera-based inspection offerings, as well as the continued development of its gluing technology with the acquisition of microglue line of products for the print finishing/graphic arts industry. ProClear adhesive coating station: Ideal for clear-to-clear applications, master roll transparent labels and flexible packaging, ProClear Coating Stations feature rotating bar technology to achieve uniform and streak-free coatings. For the most common coating application processes, this station is available in three standard options (FlexClear, EPR or MB). Alternatively, it can be customised to meet each user’s specific requirements. 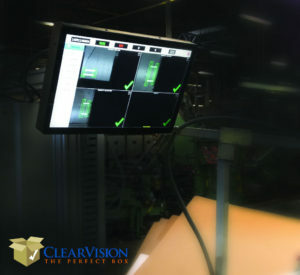 Live demos of Valco Melton’s new ClearVision quality assurance equipment and camera-based inspection software: The latest version of ClearVision BoxChek7 camera-based inspection software is taking efforts to produce defect-free products one-step further by combining setup for both gluing and inspection. Up to six camera/sensors can now be combined with BoxChek7 to include inspection of gluing, folding, print registration, barcodes, scores and windows. Its 22-inch touchscreen also offers a brand new way for users to interact with its system and houses features like an online chat support window and faster processor speed. Attendees can take advantage of the live demos by visiting the booth. Microgluer for creating self-mailers in C, V and Z fold formats: The compact and versatile microgluer eliminates expensive pre-glued and perforated forms, and minimises mail costs by simplifying and streamlining self-mailing applications. 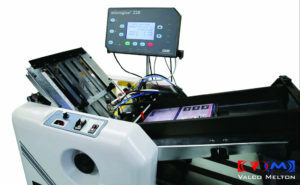 The turn key solution offers a small-format folding machine with integrated glue system and built-in pattern controller to fold, glue, and perforate in one operation. 3NCR reversible tri-valve non-contact glue station: The new 3NCR offers non-contact gluing for top-down and bottom-up applications, giving the box plant the ability to perform inside/outside glue joints using one glue station, installed on one side of the machine. The 3NCR is equipped with the 524 series valves to deliver fast, clean cutoff and long lasting nozzle/seat parts. Real time hot melt inspection for end-of-line packaging with PackChek: Attendees will also have the opportunity to see demos of the newly introduced PackChek camera inspection system that detects glue and other package characteristics after the glue is applied and the flaps are closed. PackChek is the only system of its kind available on the market, so you definitely won’t want to miss the opportunity to see it running. Experience the difference of Valco Melton’s precise, high-performance adhesive dispensing equipment and quality assurance systems at drupa, Booth A31, Hall 12.